The U.S. Environmental Protection Agency removed two sites from its priority cleanup list Monday, including a toxic sludge pit flooded by Hurricane Harvey. 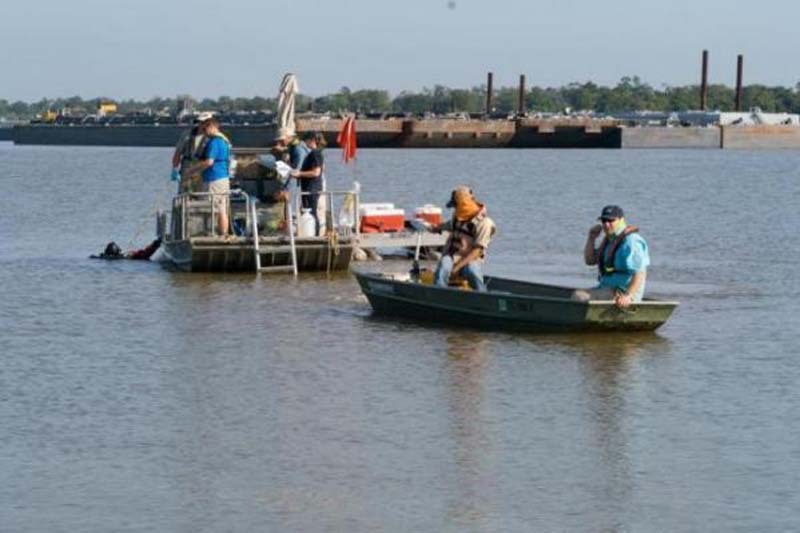 The EPA removed the San Jacinto River Waste Pits in Houston, Texas, and the Anaconda Copper Mine in Lyon County, Mont., from the its emphasis list of Superfund sites, stating both sites have reached specific milestones in their cleanup programs. "We are making tremendous progress expediting sites through the entire Superfund remediation process," EPA Administrator Scott Pruitt said. "The updated emphasis list reflects our commitment to addressing Superfund sites as quickly and safely as possible." San Jacinto River Waste Pits' removal from the list comes a week after the EPA reached an agreement with the two companies responsible for the waste -- International Paper and McGinnes Industrial Maintenance Corporation -- to conduct a remedial design for the site, which is estimated to take 29 months to complete. "This agreement marks the next step in my commitment to the people of Harris County to expedite the remediation of the San Jacinto Waste Pits site," Pruitt said. "EPA will ensure that the remedial design removes all the contamination as quickly and safely as possible and permanently protects the health and safety of the surrounding communities and the San Jacinto River." In October the EPA determined there was erosion of the river bottom up to 12 feet deep near the cap of the San Jacinto River Waste Pits Superfund Site following Hurricane Harvey. The agency ordered two companies to conduct a $115M cleanup to stabilize an area about 40 feet by 400 feet in area near the pits, which are contaminated with carcinogenic waste including dioxins. The EPA also added three new sites -- Casmalia Resources in California, Delaware Sand & Gravel Landfill in Delaware, and St. Regis Paper Company in Minnesota -- to the list to "spur action on cleanup and redevelopment efforts." "The emphasis list is intended to be dynamic," the agency said. "Sites will move on and off the list as appropriate. At times, there may be more or fewer sites based on where the Administrator's attention and focus is most needed."